Eight different auto manufacturers and 15 different utility companies are teaming up with the Electric Power Research Institute to test technology that will allow them to determine when electric cars can recharge. The idea is to keep electric cars from charging during peak hours if it's not absolutely necessary. Duke Energy is among the 15 utilities testing new technology. The program would allow Duke and others to send a signal to the cars telling them when to start and stop charging - ideally reducing the stress on the grid and, thus reducing utility rates. 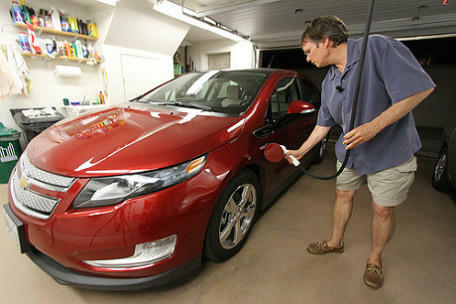 "Let's say you have an EV (electric vehicle)," explained Randy Wheeless, a spokesperson for Duke Energy. "It's 5:30pm. you drive home and you plug in. Well, right now, it just starts charging. But maybe you could have a little program where ... the utility could delay charging that for a couple hours when power is better." Phase 1 of the partnership has the utilities testing a few different vehicles across the country in about a dozen markets. (The automakers involved are GM, Ford, Mitsubishi, BMW, Chrysler, and subsidiaries of Honda, Toyota, and Mercedes Benz.) A third party company, Sumitomo Electric, sets up a sort central hub, where the car sends a signal saying "I'm charging," and the utility company can send a signal back saying either "Go for it," or, "Hold off. Wait a couple of hours." Wheeless says there will need to be some sort of override function, so customer aren't simply denied electricity. It's also likely participants will be offered some sort of incentive to delay charging. Electric vehicles aren't there yet. "You know a Nissan Leaf is going to communicate different from a Chevy Volt, different from a Tesla. So what we're looking at is how to we make these standards common, so that no matter what the EV is, in the end, it will communicate the same, regardless." About 3,000 electric vehicles are on the road in North Carolina. That's of the 220,000 nationally. Duke Energy estimates 40% of those are in Wake, Orange, and Durham counties. 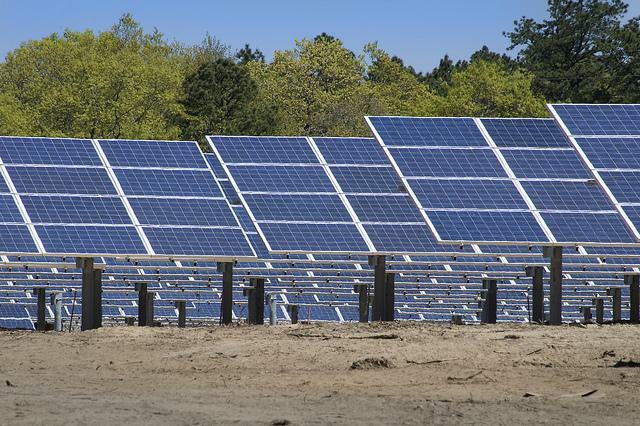 Phase 2 of the program would expand the technology to different markets and more utility companies, but a representative from EPRI says that's anywhere from 18 months to three years away.